To ensure you are being quoted member prices, log in to the site first before you make your decision You can do this by clicking on the Login link to the right on this page. 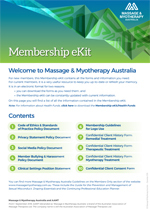 A softcopy of the Membership eKit is provided to all members upon joining and available to download under Members Only. If you would like more information about what's included in the eKit, please click the above title. 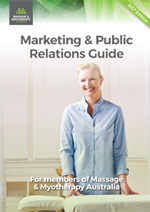 The Massage & Myotherapy Australia Marketing and PR Guide includes a combination of advice, templates and training resources avaiable as a free download electonicically or as a hard copy purchase. A hardcopy Certificate of Membership is posted to all Members within the first year of joining. If you require an additional Certificate only, please 'add to basket' to request an additional certificate via the post. 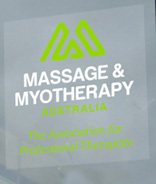 Massage & Myotherapy Australia members received an additional window sticker in the May Volume 15 - Issue 2 : Winter 2017 Journal and all new members receive a window sticker decal in their membership packs, if you would like to purchase an additional Window Sticker, please hit 'Add to basket'. 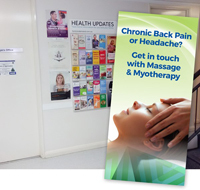 The Massage & Myotherapy Massage and Myotherapy brochures are an excellent way to advertise the many benefits of Massage & Myotherapy to potential Clients. 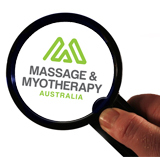 Massage & Myotherapy Australia is eligible to administer industry specific National Criminal History Checks, also known as 'Police Checks'. The mandatory module provides you with the opportunity to enhance your knowledge of ethical practices and to reflect on how these apply to your professional practice. This single, streamlined module replaces 'Introduction to Ethics' and 'Client Therapists' Relationship'. This module aims to provide opportunities for participants to review the concept of professions and professionals, and why the standards of education and training are important aspects in massage therapy. 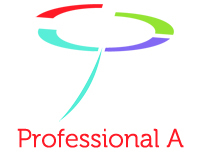 The purpose and function of a professional association is explained and how and why The Australian Association of Massage Therapists (AAMT) exists in this space. 18/04/2019 The Association will be closed on Good Friday 19 April and will reopen as normal on Tuesday 23 April. 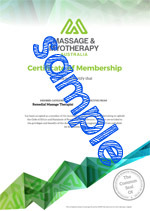 16/04/2019 For now, only remedial massage and myotherapy treatment remains covered for your clients so make sure you treat and receipt correctly. Ensure the details on your receipt describe the treatment you provided accurately. 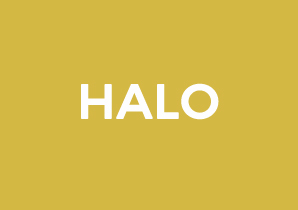 04/04/2019 The Research Grant Program aims to support independent research undertaken by experienced researchers in alignment with the College’s research priorities.